Here are my first two bears for the Mother Bear Project for 2017. These both were crocheted in the round without turning or chaining to start each round. 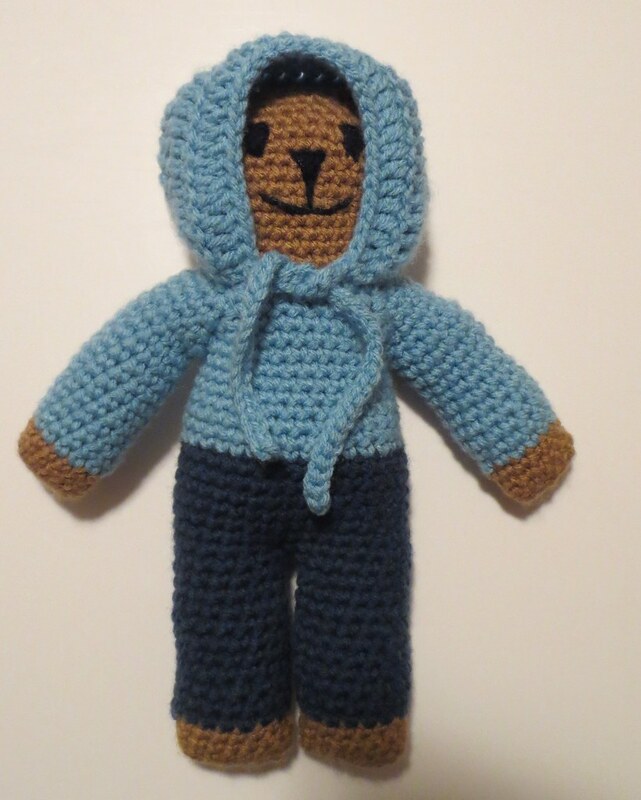 I have a seamless bear tutorial here if anyone wants to learn more about how I crochet my bears. 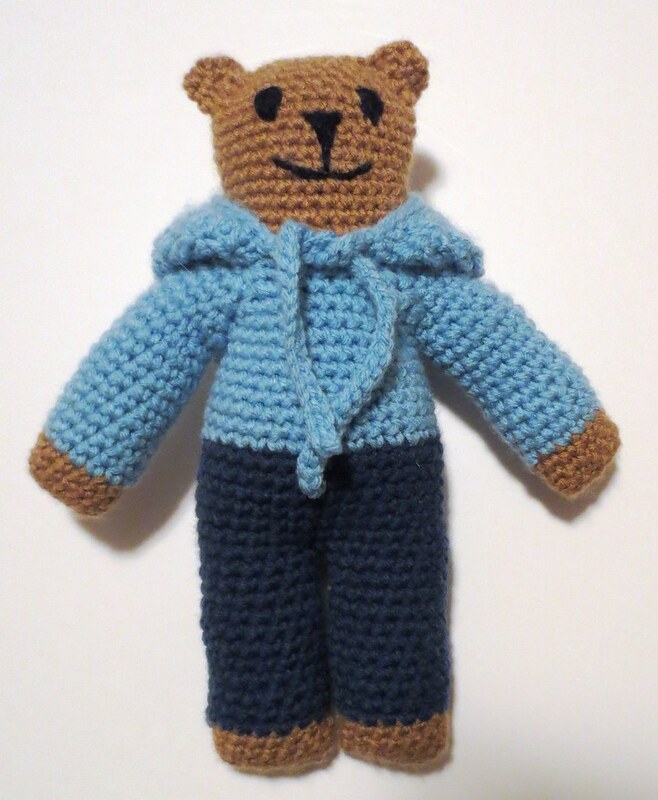 The Mother Bear Project is an organization dedicated to providing comfort and hope to children, primarily those affected by HIV/AIDS in emerging nations, by giving them a gift of love in the form of hand-knit and crocheted bears. 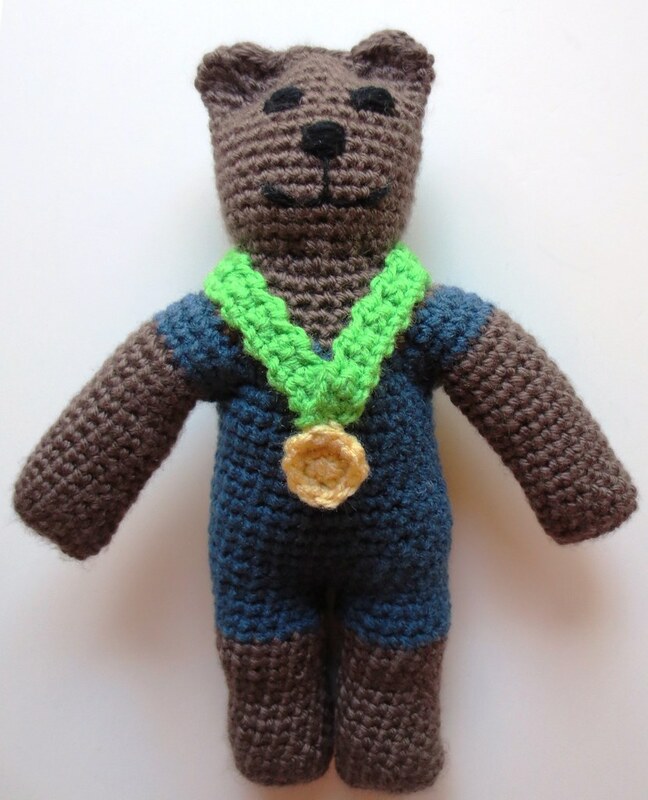 Everyone at Ravelry has been celebrating the Olympics and the Mother Bear Group has been busy making Olympic Mother Bears. 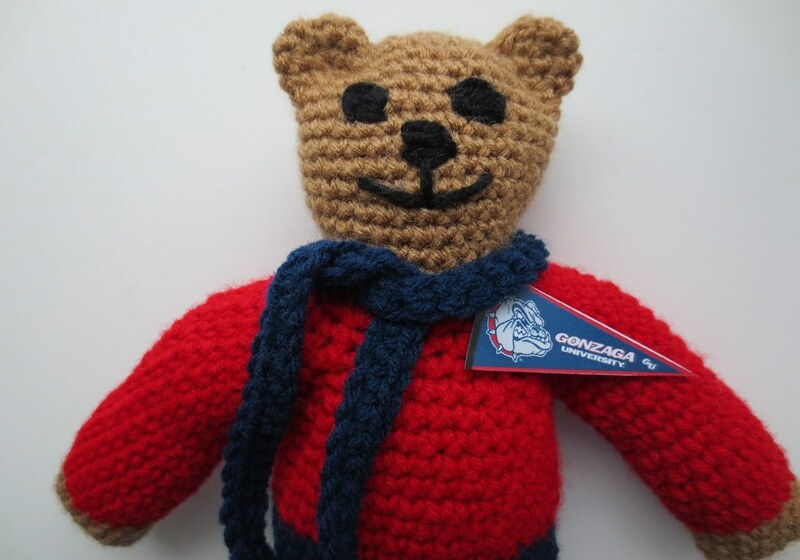 I crocheted 3 Olympic bears during the games. It was fun to make the bears for charity and also participate in the 2016 Ravellenics Games at Ravelry. Here are the 3 different teddy bears I completed in the Toy Toss event. 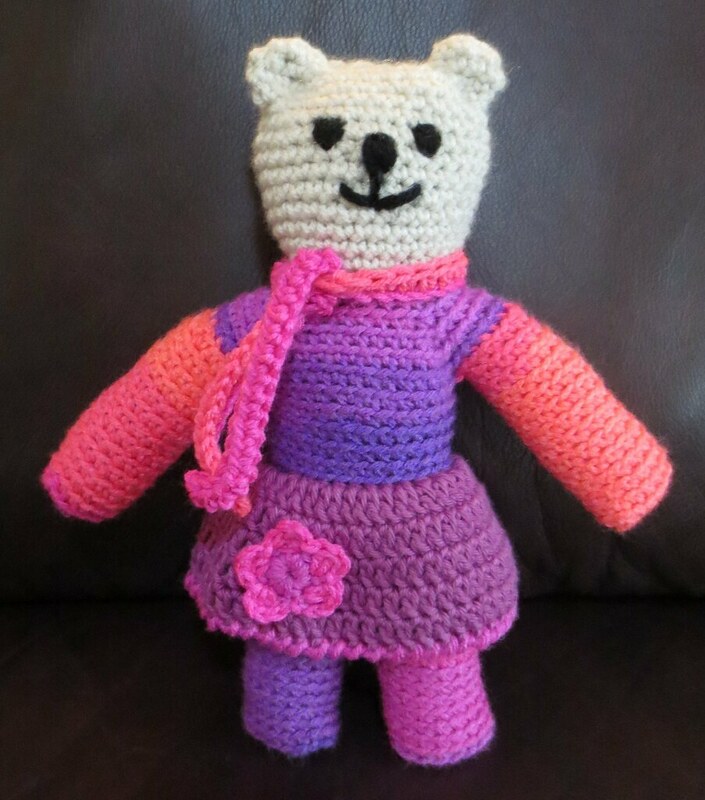 The first bear is Katie bear I crocheted in honor of Katie Ledecky. Katie bear is posing with her first gold medal she won in swimming for the USA. It was super hero theme in July for the Mother Bear Project at Ravelry. I decided that I wanted to crochet a Superman teddy bear for the project. Here is Superman or maybe I should say Superbear. I crocheted my bear in the round and seamless using this crochet bear tutorial. I used a piece of gold felt to draw the S logo for my Superman costume with markers and then just glued it onto the bear. I crocheted the red cape by attaching red yarn to the side of the neck and single crocheting around to the other side of the neck. I then crocheted in double crochet stitching until I had the desired length for the Superman cape.